Goose Green Primary is a vibrant and diverse academy in the heart of East Dulwich. 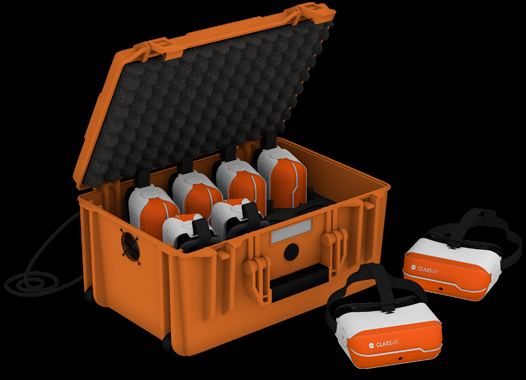 We want the ClassVR package as it is a whole new concept in education technology: a cost-effective Virtual and Augmented Reality system designed exclusively for the classroom. We have been trialling this exciting and engaging technology as #VRChampions and the pupils' response has been overwhelming. VR allows students to experience and travel to far-flung locations around the world, under the sea, and into places they could only dream of visiting, like the surface of the moon! This in turn leads to increased writing opportunities to improve writing attainment, in line with our School Development Plan. 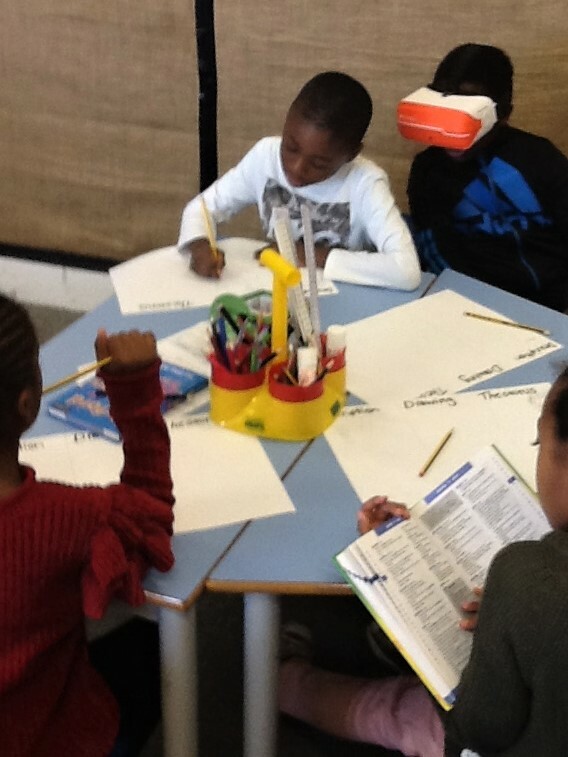 VR is known to improve literacy (increasing vocabulary as children are encouraged to describe what they see), place learning in context, support additional needs and improve retention and engagement across all ages. This is for our whole school, to use across a range of subjects, including literacy, immersive history, science and knowledge of the world. Virtual reality will allow our students to visualise their lessons more clearly and allow them to interact with subject matter in a totally new way. It will enable them to experience places they have never been, which will enrich their learning and open new doors. With total immersion into a subject, children will be inspired to ask questions and explore subjects with deeper understanding and greater enthusiasm. Ms Seminerio, one of our school leads for VR learning, says: "We have used the trial VR headsets to immerse the children in a new world, allowing them to see and experience things they might not understand or be able to grasp. For example, we may be writing about a desert island; some children may have never been to the beach or even know what sand and the sea look like. By submerging them in a virtual 3D world they can gain vital experiences and exposure to sights, sounds and reality that were previously unavailable and unknown to them. Many of our children do not have life experiences that enable them to gain the vocabulary and lessons in order to learn effectively. The VR headsets allow us as educators to provide children with some of these missing life experiences." Mr West, our other school lead for VR learning, says: "We have been using the trial VR headsets during our immersion week into our topics. 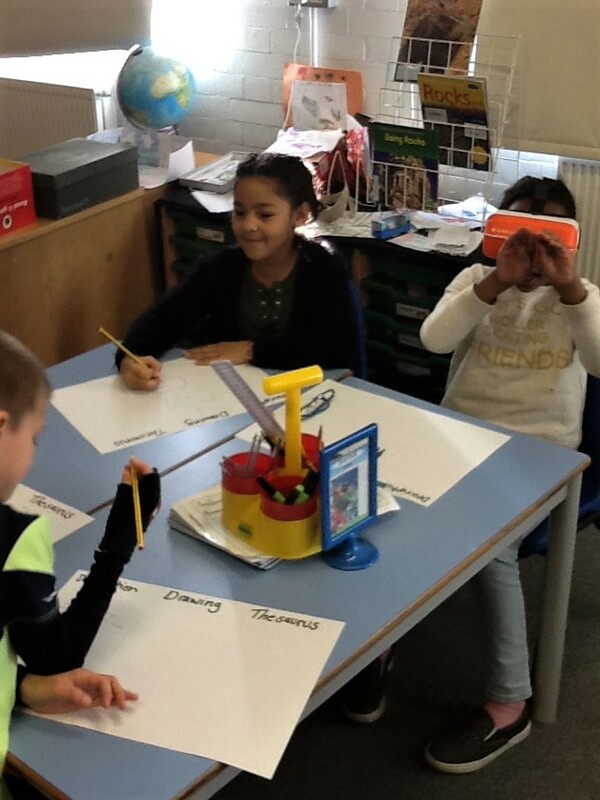 It has helped the children to increase their vocabulary when describing the experience, as they have an actual experience to link to the new vocabulary that they are using." Kaim commented: "I felt upset because such beautiful creatures are being killed by poachers." His classmate Omari said: "I shivered as I thought the lion was going to bite me." Simon Wattam, Head Teacher says: "One of the key strands of our School Development Plan is to improve writing outcomes. The VR headsets will provide opportunities for children to explore different contexts, develop new vocabulary and to write about these exciting experiences that they would not otherwise have." As soon as we reach £1,289.28, we will be able to afford a set of 4 ClassVR headsets​. If we're fortunate enough to raise more than our target, then we would like to buy a second class set, to enable more pupils to use the technology at any one time, this would cost a further £2,038.98. A thank you message from Mr Wattam, Head Teacher. A printable/frameable artistic message of thanks from our pupils. Public recognition (if you wish) of your support via our school's social media channels and newsletter. Project "Main Sponsor" recognition: All other rewards (with a larger presence of your logo) plus a framed poster of recognition displayed in our school lobby and an invitation to visit and see the VR Headsets in action in the classroom.